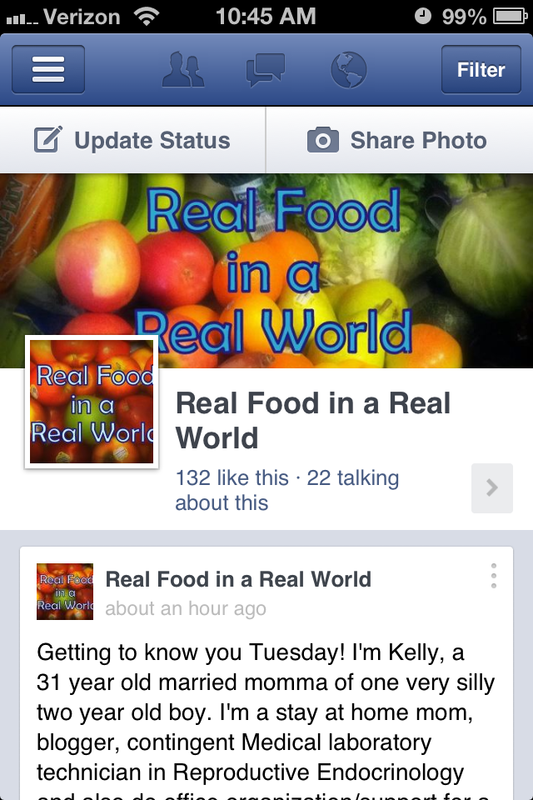 On my Facebook yesterday I asked what readers wanted to know about the inner workings of the Real Food house. Kate asked about making the time for real food when you have a real life. It’s funny that the whole reasoning for the blog name “Real Food in a Real World” was to imply that it will focus on real life going on while we try to eat real food, but I haven’t actually devoted a post to this subject. The super short answer is that I don’t have it all figured out. We all struggle it seems; whether we have kids or not, work outside the home or not. Nobody is perfect and everybody has to juggle life. But, I will give you all the tips I can! We are a family of three, I am a mostly stay at home mom of a very active two year old. (Seriously, ask anybody that has met him). My husband is a diesel mechanic. I do have two other jobs that I work very part time, usually on days my husband is not working. I know that I am lucky that my son naps nearly every day and is usually in bed by 8. This gives me some quiet time with my husband at night, and I try to use naptime for food prep, housework etc. Sometimes I just veg and play on the internet, but I try to maintain some semblance of productivity. Toddlers are exhausting though, and I only have one! I do a lot of my blogging at night after he goes to bed. I am also very blessed in that I have really helpful family. For example, I am taking a yoga class on Fridays, so my parents watch local toddler and feed him and my husband fends for himself after he gets home from work that day. Now to keep it real for a minute. I am so far from perfect. I’m learning as I grow as a mother that there is no such thing as perfect. I know that sometimes we read blogs and think “wow, she does it all.” I think that it is really easy to only show the shiny happy parts of your life. I am certain I am guilty of that. So want to see some of the not so shiny spots? Dishes. Part of cooking real food involves dishes. I hate doing dishes and I will procrastinate. Here’s what my stove looked like this morning. It’s painful for me to put this photo out to the world, but I want to keep it real! Not every single meal will be perfect. We do try to make a meal every day, but sometimes we don’t meet that goal. I do my best to keep quick and easy meals in the freezer, but local toddler has eaten a few Happy Meals. At least there were apples? 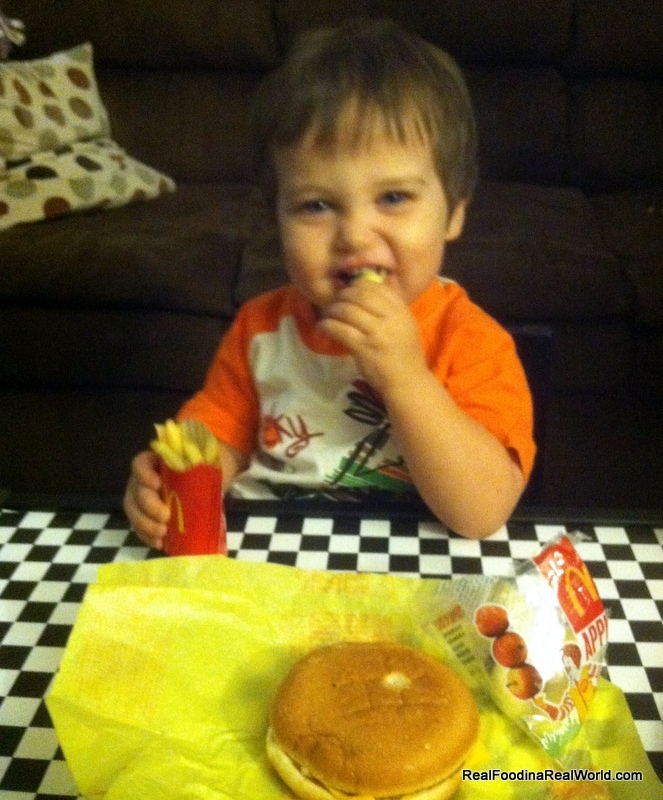 We try not to make any sort of a habit of fast food, but I won’t freak out about it if it does. Learning to balance my life, and not melt down when things don’t go the way I planned. So, how do we overcome the obstacles in front of us? First up is my iPhone. I know that Smartphones are a point of contention for some people, and others live quite happily without them. Not me. For me, it is the greatest invention ever! I can keep myself organized, look up recipes, find toddler activities, keep up with blogging and social media, and even do some work. When local toddler is immersed in a project I can pull out my phone and work on something for a few minutes. I also do all of the photography for this blog using my iPhone. My most used apps are my email and calendar (which are synced with my work and blog ones and I set alerts for almost everything) Facebook, Twitter, Pinterest, a local news and weather app, WordPress, Mint.com for personal finance, Craigslist, and Candy Crush. Darn you Candy crush… All free apps! If I am at home I almost always have my iPhone near me (keeping it real, not proud but it is true). I do try to touch it very minimally if I am out of the house. My son goes to several playgroups and I usually don’t even bring my phone with me. I cancelled cable. I find that for my family, the TV was a huge time waster. You turn it on intending to watch one show, next thing you know two hours has passed. Some people are great about being super productive while watching tv and it works for them. I wasn’t that person. We did get a Roku box and a Hulu Plus subscription so we could catch a few shows. This has made us so productive! My husband and I are also sitting on the porch and talking most nights instead of us sitting on different couches watching something. Marriage bonus! Freezer Cooking, Cooking Ahead, and Slow Cooker. This is a huge time saver. There are entire blogs devoted to this subject. I freeze everything! Some of my favorites are brown rice and chicken nuggets. I also love my Crock Pot. My favorite is Crock Pot whole chicken. Know your personal pitfalls. This has been a newer realization for me. I’m starting to recognize there are certain days I am exhausted and have no desire to cook dinner. For me I know that our late playgroup some Thursdays means naptime might not happen, so I try to plan something super simple for those days. 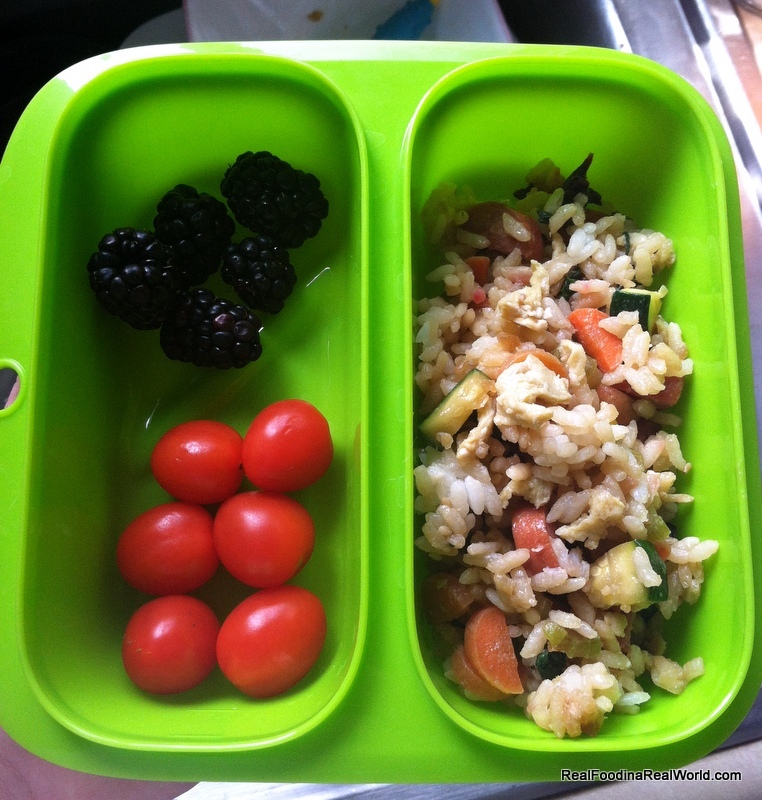 I have also been known to make our lunches the day before, even if I know we will be home for lunch. A very typical lunch for me or local toddler. Entertaining kids in the kitchen. This is one of the hardest areas for me. Local hubby used to be home from work earlier in the evening, but now doesn’t get home until after dinner. So now I’m preparing dinner with local toddler. Some days I just can’t handle him in there with me and I park him in front of the tv with a video, but I try to not depend on that. I keep a bucket of toys in the kitchen that he only gets to play with when I am cooking. 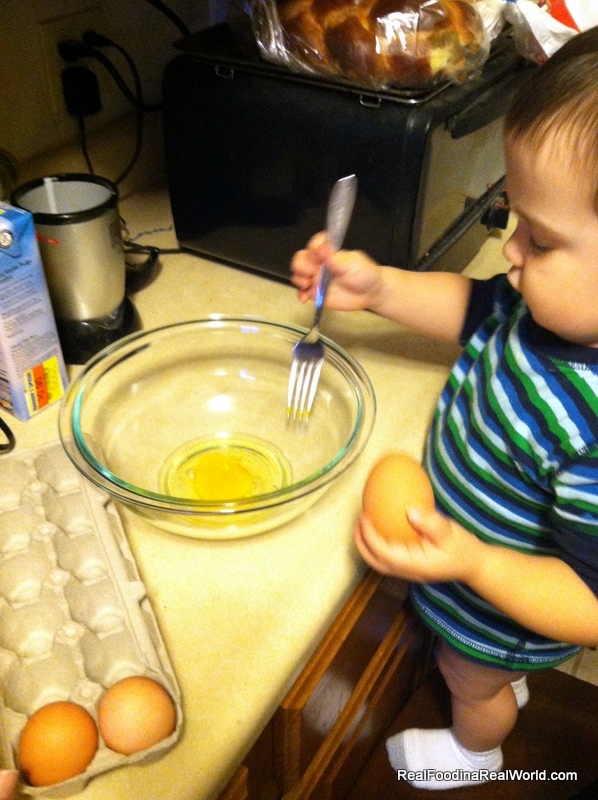 I also try to include him in cooking, dumping ingredients, stirring etc. 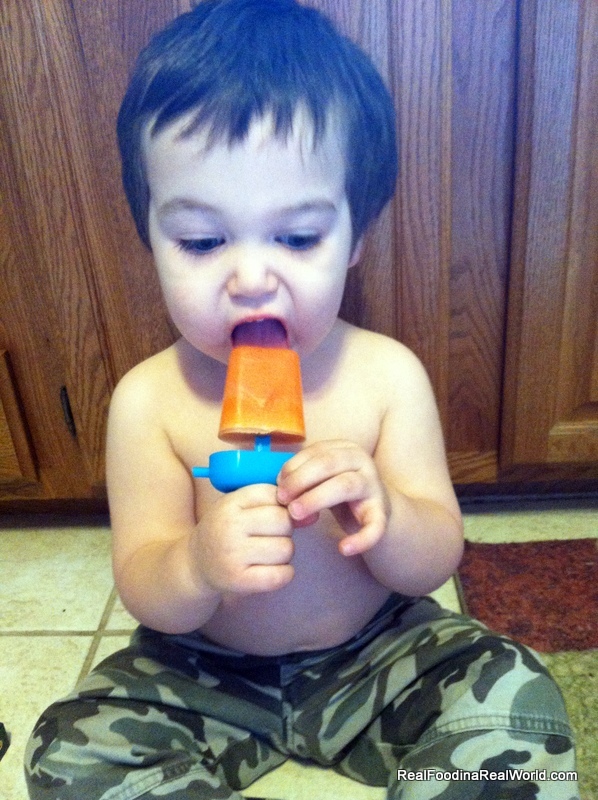 Other days he sits on the kitchen floor with a homemade Popsicle (my son is a great eater so I don’t worry about him spoiling his dinner). We always listen to music while we cook and have a dance party. Grocery delivery. Having Door to Door Organics deliver the bulk of my groceries saves a ton of time. I used to shop at the regular supermarket and used a ton of coupons. There is a definite money savings in shopping that way, but there is also some time investment. Obtaining, clipping, and researching coupons, packing up the kid, then walking around the store, standing in line to check out, loading and unloading groceries. I save a huge amount of time by just picking out my groceries online, and that gives me a lot more time to focus on meal prep. I still do some shopping in brick and mortar stores, but it takes very little time. Usually just a little hand basket worth of groceries from Pure Pastures. That is one of my kitchen cabinets, it happens to be the one devoted to this blog. I keep calendars and sticky notes everywhere. 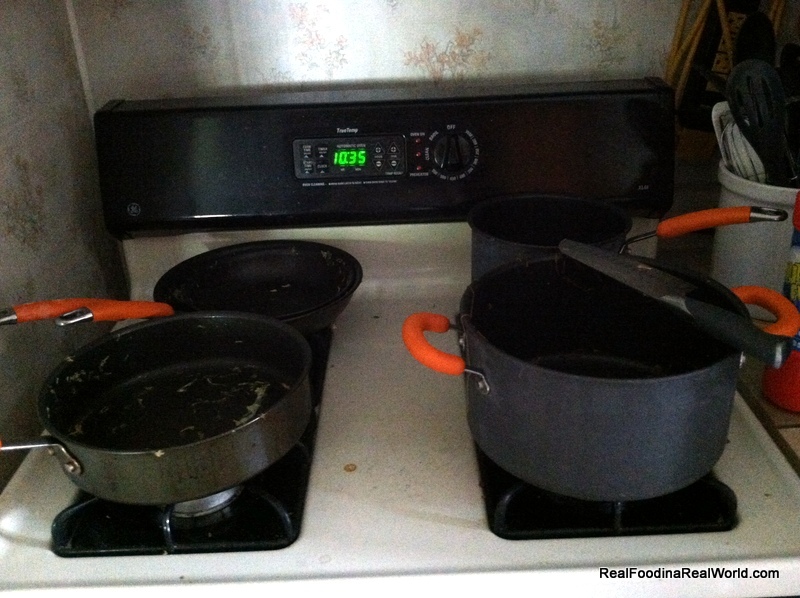 It may seem kind of silly, but I leave myself reminders for things like beans soaking, or even the crock-pot. The more organized I stay, the easier it is to get things done. I make notes when we are low on things we keep in the freezer so I know to make some more when I get some free time. I’m sure there a bunch more tips that are escaping my brain right now. I hope something was helpful! I’d love to hear from other readers! How do you balance all that life throws at you, and stay out of a drive through window? 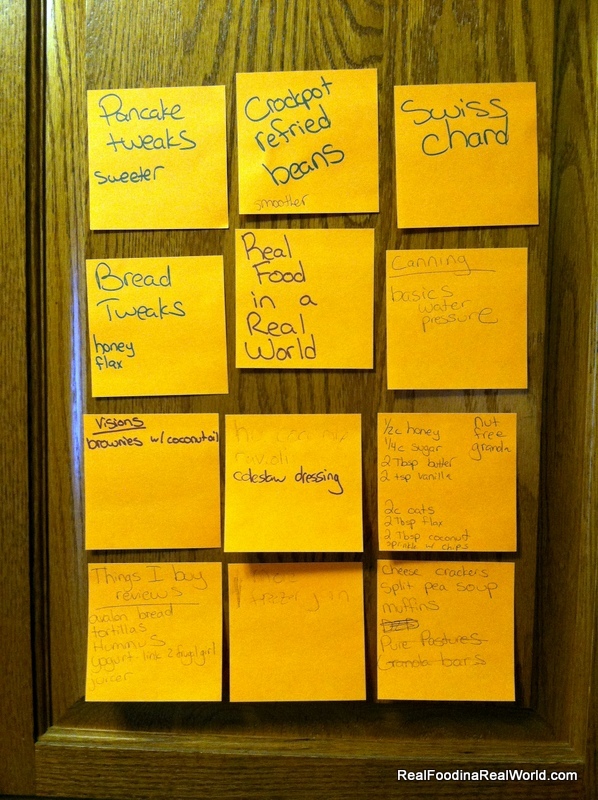 I have heard that sticky note usage can be an inherited disorder! Very true! Pretty sure I was born with sticky notes in hand. Love these tips and my kitchen looked like yours this morning 😦 Wednesday is my “rest” day so no working out, which means it’s time to be super productive. I cleaned the kitchen.. then made steak and sweet potatoes, and somehow managed to make a disaster.. which will probably get cleaned up Friday night or Saturday. (perks of living alone.. lol).